Sitting alone on a Sunday evening and staring at a distant sky, it becomes difficult for me to concentrate on a single point or a thought. So many things to do and the list are endless. But thankfully there are few things which always take me away from the reality for better – photography!! At least something on which I can put my mind endlessly and each time I come up with something new to ponder about. 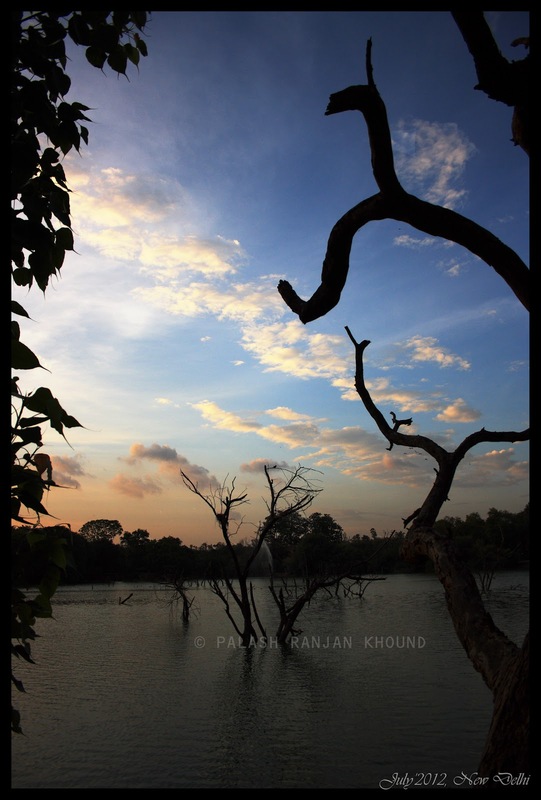 @Hauz Khas Village: This click was taken at HauzKhas Village few weeks back after the onset of monsoon in Delhi. I think I got the perfect timing to be there, else with dust all around its very hard to get ideal condition to click in Delhi.